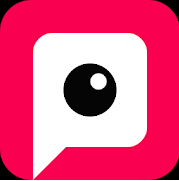 Pitu-Amazing Video And Photo Editing App..
hi, friends, now you can make amazing video and photos on Pitu app. Pitu app is free of cost to make video and photos. Pitu's blockbuster launch "Crazy cosplay", "primary school students cosplay", "Uniform cosplay" with super multi-burst play mode. such a beauty cam, beauty makeup, Crazy ex-face, Pitu surged to 1st place of appstore in Taiwan, Hong kong, Macao, Malaysia, Vietnam, etc. One click beautify. Simple and practical operation, cutting, rotating, special effects, spot blur, intelligent fill light, night enhancement, mosaic, star light mirror, instantly make your photos gorgeous. Massive fashion templates, exclusive intelligent watermark, create your own personality photo wall, spell a good mood. Record lift story, necessary for travelers! Real-time face recognition, rich and varied role-changing, rocket-like update speed. Wuzetian, primary school students, uniforms...One second to turn yourself into super stars! All kinds of the hottest stickers nowadays, recording their own expression emoticon.